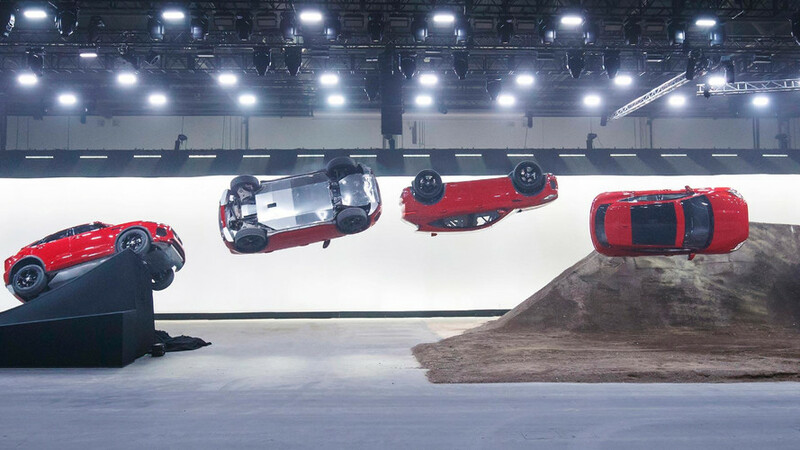 Jaguar has just unveiled its new E-Pace crossover, and to punctuate the grand debut, the luxury CUV has already earned a Guinness World Record by doing the furthest ever barrel roll jump in a production vehicle. 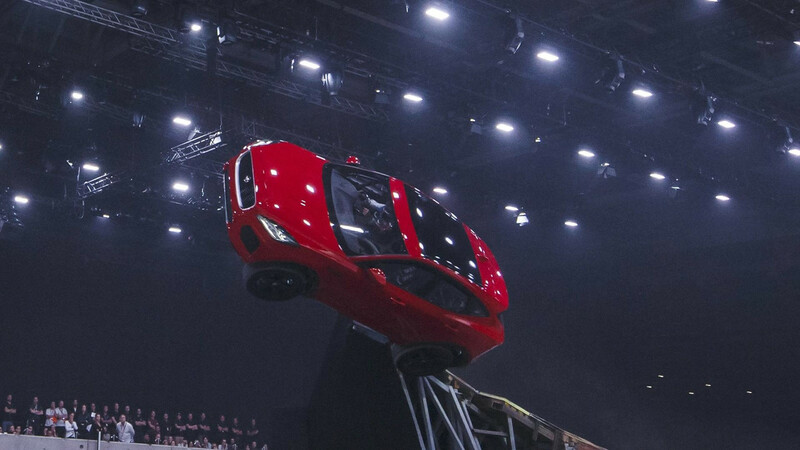 The stunt was a perfect follow-up to the F-Pace premiere in 2015 when the model set a record by completing a 62.6-foot (19.08-meter) loop. Professional stunt driver Terry Grant piloted the E-Pace through the barrel roll. It’s hard to imagine a better person for the job because he holds 24 Guinness World Records, including ones for the earlier F-Pace loop, driving a Nissan Juke on two wheels, and reversing a Nissan Leaf. In Europe, the E-Pace is available with a pair of engines in several tunes. A 2.0-liter diesel comes in 148 horsepower (110 kilowatt), 177 hp (132 kW), and 237 hp (177 kW) versions. A 2.0-liter turbocharged gasoline-fueled engine has 245 hp (183 kW) or a range-topping 296 hp (221 kW). The lowest-spec diesel models are available with a six-speed manual, and the rest of the lineup comes with a nine-speed automatic. To learn all the ins and outs about Jaguar’s smaller crossover, check out Motor1’s story detailing the E-Pace’s debut. The E-Pace will go on sale in the United States in early 2018 for a base price of $38,600. Next year, Jag's CUV lineup will further grow with the introduction of the electric I-Pace. London, UK, 13 July 2017: Jaguar Land Rover has confirmed that the newest member of its Jaguar PACE family, the E-PACE, will be manufactured on two continents to satisfy expected customer demand for the compact SUV. 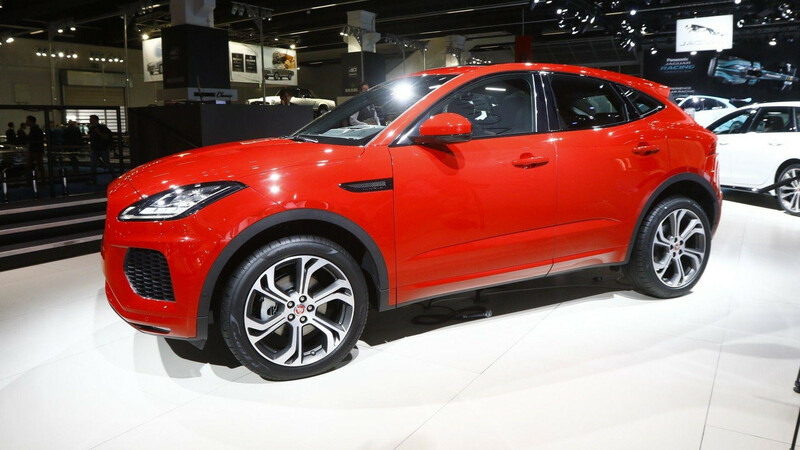 The Jaguar E-PACE will be also be manufactured at Chery Jaguar Land Rover’s state-of-the-art manufacturing plant in Changshu. This will be exclusively for Chinese customers and the car will go on sale in China in 2018. 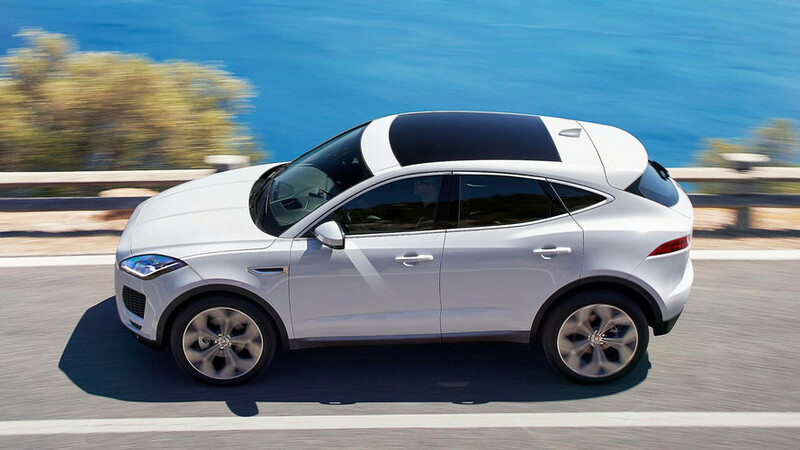 Designed and engineered in the UK, the Jaguar E-PACE is a five seat compact SUV that packs the design and performance of a Jaguar sports car into a spacious, practical and connected all-wheel drive vehicle. It joins the I-PACE Concept all-electric SUV and the World Car of the Year-winning F-PACE performance SUV. With around 80,000 vehicles sold since launch in 2017, the F-PACE is fastest selling Jaguar in the company’s history and there was a clear customer demand for a compact Jaguar SUV. On Thursday 13th July, Jaguar will put their new E-PACE to the ultimate test by recreating the iconic barrel roll scene from Roger Moore’s, The Man With The Golden Gun to set a GUINNESS WORLD RECORDS™ title for the Furthest Barrel Roll Jump in A Production Vehicle. A major achievement for its World Premiere. • Internationally renowned stunt driver, Terry Grant, will attempt to set a GUINNESS WORLD RECORDS™ title for the Furthest Barrel Roll in a Production Vehicle - this will be his 24th World Record! n. A flight maneuver in which an airplane (in this case an SUV) makes a complete rotation on its longitudinal axis while approximately maintaining its original direction. A barrel roll in itself in a car is challenging, but to be done in an SUV demonstrates not only the capabilities of the driver but the agility of the car itself.